TWO local families are appealing to the PSNI’s Historical Enquiries Team to help them get the justice they crave after the murder of their loved ones by the British army almost 40 years ago. 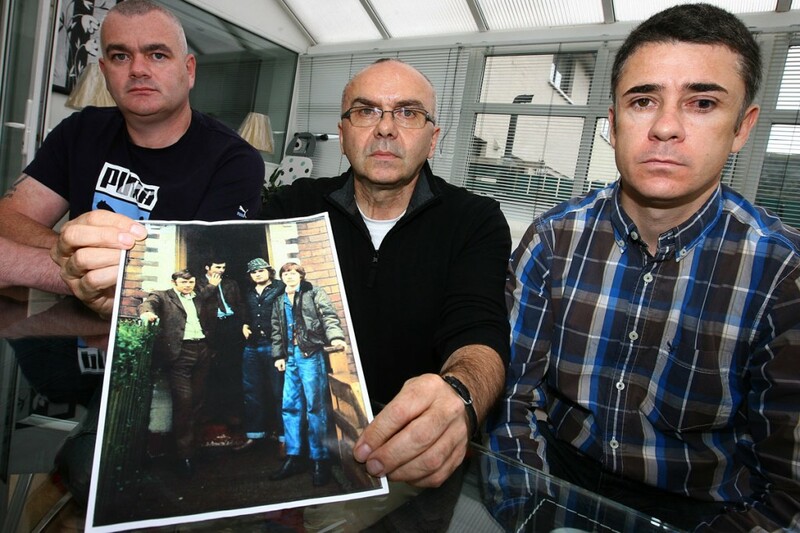 The family of Patrick Mulvenna and Jim Bryson are making a fresh appeal – with the help of victims’ group Relatives for Justice – for new information that could help uncover the truth. The shooting of the two IRA men took place in Ballymurphy on August 31, 1973. The Official IRA initially claimed they were responsible – but since then have denied any involvement. It is now widely accepted that both men were killed by an undercover unit of the British army. Patrick Mulvenna, aged 22, died instantly in the attack. Jim Bryson, aged 25, died from his injuries three weeks later. Both families are seeking answers about the circumstances surrounding the shooting of their loved ones. “When is the HET going to investigate the murder of my brother?” asked Jim’s sister Jean. “It’s been 38 years since this happened and we just want truth and justice for him. Questions from our family have not been answered and we just want justice for him and for Patrick. I’ve lived with Jim’s murder daily, it happened so close to where everyone lived and it’s time for the truth to come out and for the families to know the truth. Legal caseworker with Relatives for Justice, Shauna Carberry, said that both families have her group’s support in their battle to establish the facts. “It is the understanding of RFJ that the HET are currently examining deaths in 1976. The families have raised concerns about the delay in investigating the deaths of Jim Bryson and Patrick Mulvenna, which occurred in 1973. “These concerns are shared by Relatives for Justice. The British army has been responsible for killing up to 300 civilians during the course of the conflict. From 1970 to 1975 the British army were responsible for 182 deaths. “The HET have examined all of these killings yet they have not brought one soldier before the courts. It is unclear whether or not they have even forwarded any file to the PPS seeking a recommendation for prosecution. “Jim Bryson and Patrick Mulvenna were killed in controversial circumstances by the British army 38 years ago – it is important that the soldiers responsible are properly investigated,” she said. “Relatives for Justice echo the appeal of the family for new witnesses to come forward who may not have found themselves able to come forward at the time. Shauna can be contacted confidentially at Relatives for Justice on 028 9022 0100.